The Charlotte 3 Light Linear Crystal Ceiling Light Pendant is in a Silver finish with outer shades encrusted with tiny crystals surrounding a mass of crystal beads suspended from faceted silver rods. The Charlotte 3 Light Linear Ceiling Light Pendant Is In A Silver Finish With Three Outer Shades Encrusted With Tiny Crystals, Each Surrounding A Mass Of Crystal Beads Suspended From Faceted Silver Finish Rods, Creating A Sparkling Centre Piece To Any Room. 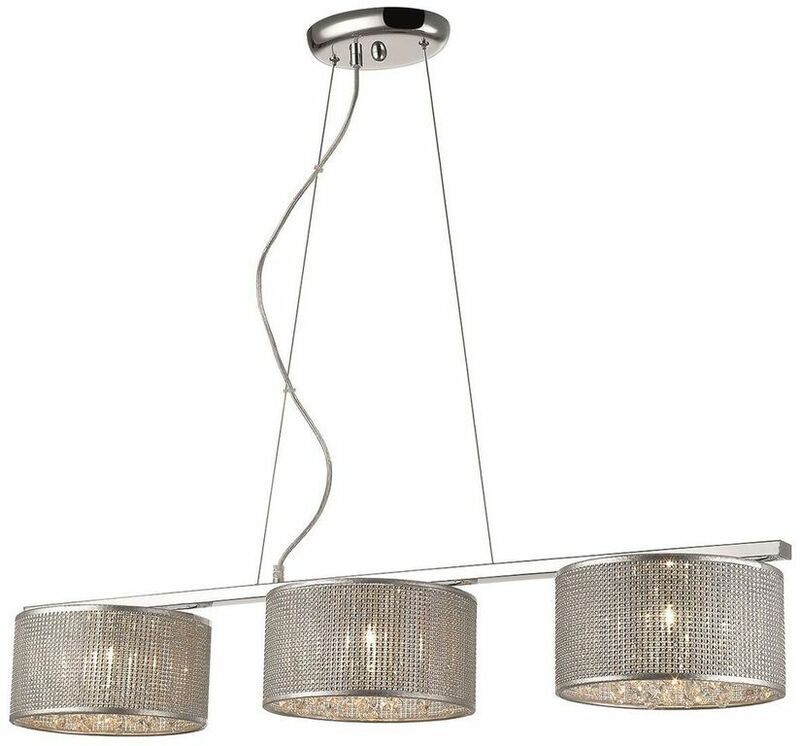 The Charlotte 3 Light Linear Crystal Ceiling Light Pendant Is Class II, Double Insulated, Meaning No Earth Connection Is Required.